Having trouble over an assignment or in completing the assignment before the deadline? Most of us probably have, at some point in our lives, experienced this. However, we no longer have to suffer or endure such since what can save the day is to simply create a schedule. 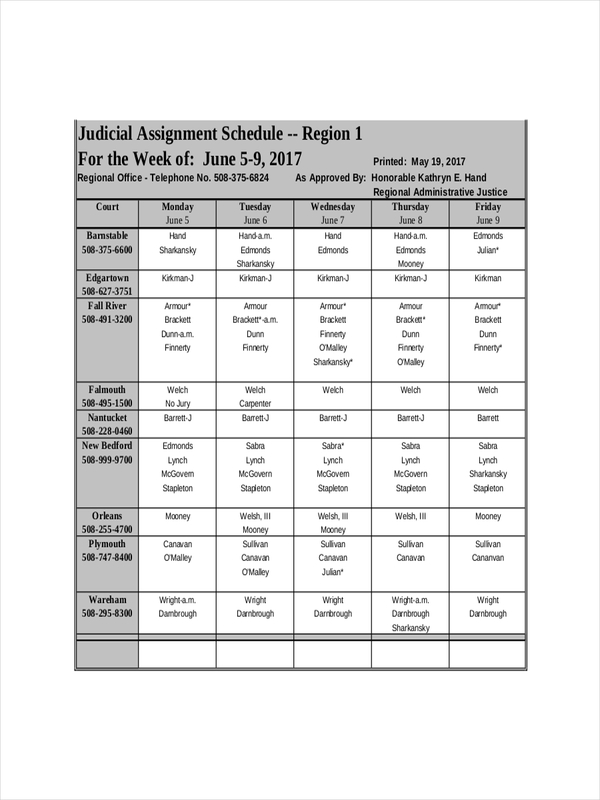 Schedules such as a daily schedule keep us on track regarding the things that need to be done during the day or on a planned duration of time. 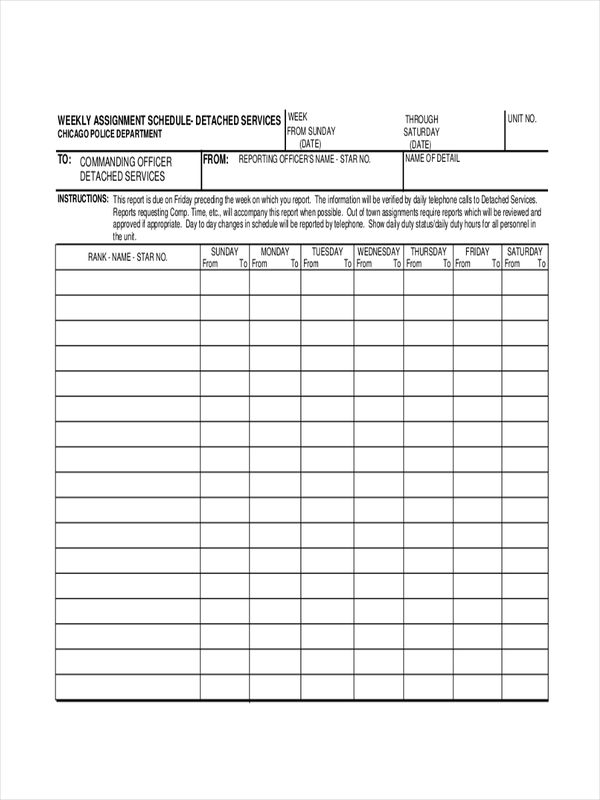 There are examples on the page that can be made to suit your every work schedule need. Just scroll down the page for more information. 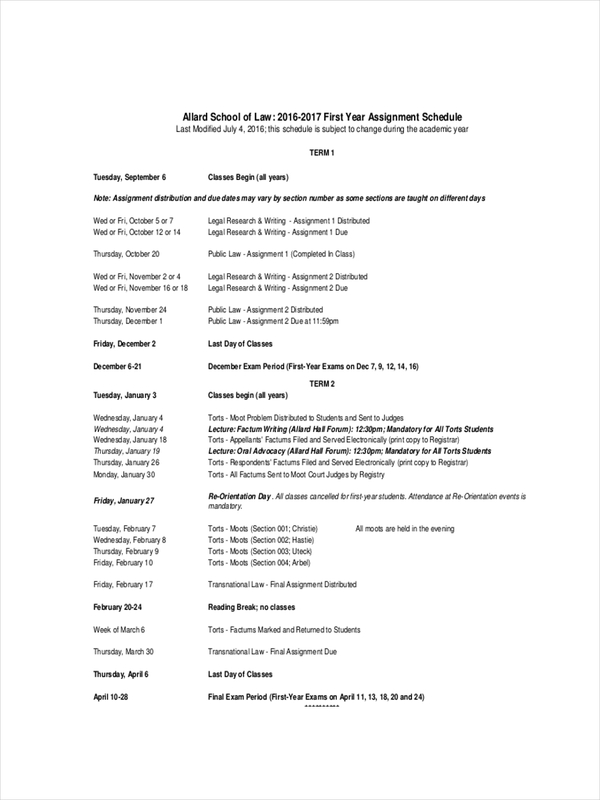 What Is an Assignment Schedule? 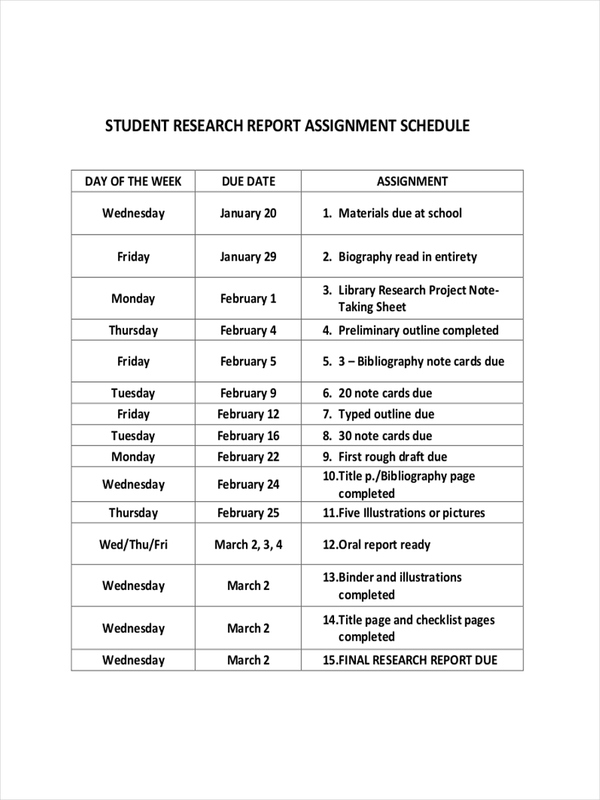 An assignment schedule is a document containing information relating to tasks that need to be done in context to the time and the individual responsible for the task. 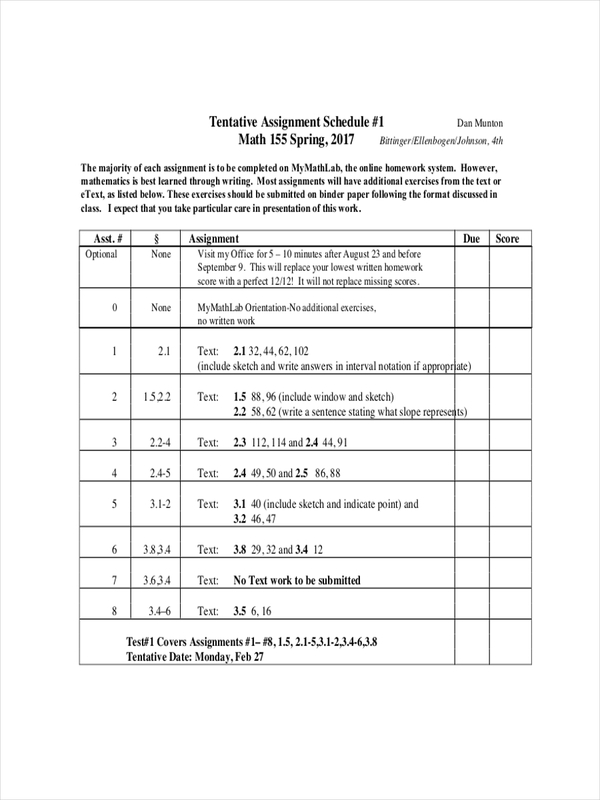 Sometimes schedule in pdf for assignment used in a business provide helpful information for managers to keep track of their personnel and project managements. Know your priorities and arrange tasks in accordance with that order of priority. Keep at it. Stick to your activity schedule and be sure to cross out those already achieved. 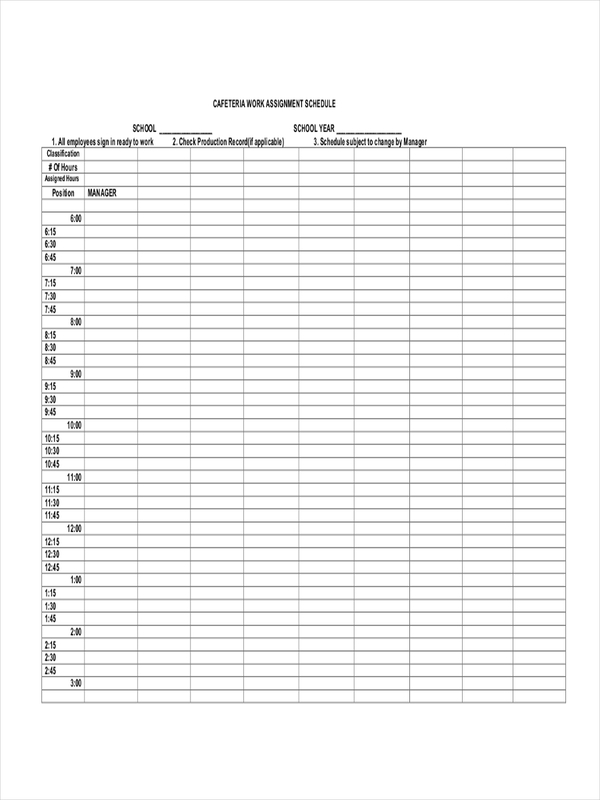 Schedule examples in excel and weekly schedule examples are made available for download by clicking on the download link button below the sample you have chosen. Feel free to have a look around our site for other samples relating to job schedules and other business related articles. Human resources – manpower resources to handle the tasks given. Material resources – resources that include equipment or machinery in completing assigned tasks. Common resources – general staffing requirements for unspecialized tasks not requiring engineers or architects. Project or business resources – shared resources in a company. Add and assign the right resource for a specific task. Consider each task, the possible costs attached to the task, and the individual assigned to complete it. Repetition of names assigned to tasks in presentations and meetings helps in tracking and developing responsibility for tasks assigned. Manage and track developments of resources. Communicating assignments and updates regarding the progress helps in order for information not to get lost along the communication plan. Review progress and commit to deadlines. Always clearly communicate deadlines to verify actual status and follow-up actions required to meet the deadline. 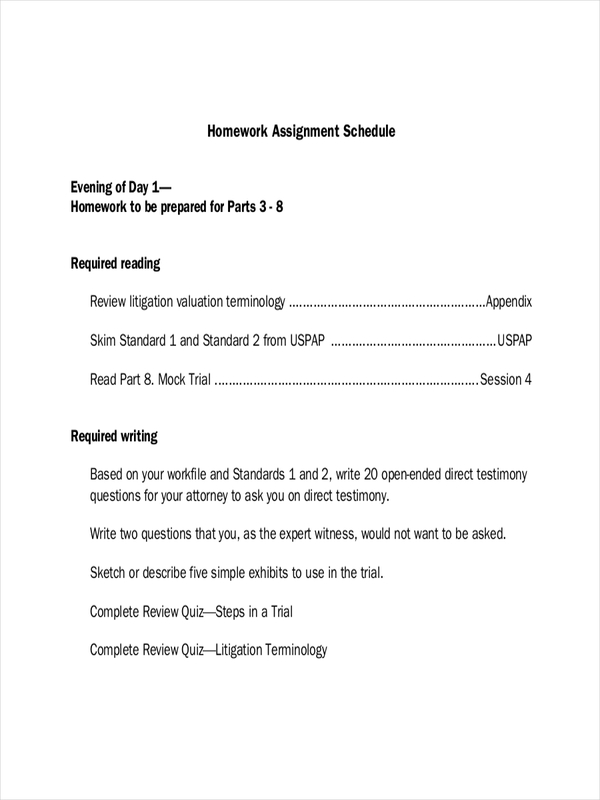 Examples in the page further explain how a sample schedule for assignment works. Be sure to click an example to view it.